We buy houses in ANY CONDITION in Dallas, Texas. There are no commissions or fees and no obligation whatsoever. Start below by giving us a little bit of information about your property or call us at (214) 723-1304. 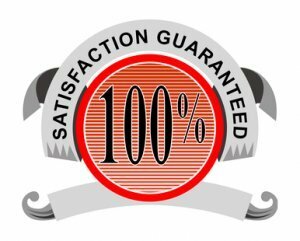 Get Your “Guaranteed” Fair Cash Offer For Your House ‘On The Spot’ Today! If you want to sell your Dallas house… we’re ready to give you a fair all-cash offer. Stop the frustration of your unwanted property. Let us buy your DFW house now, regardless of condition. Avoiding foreclosure? Facing divorce? Moving? Upside down in your mortgage? Liens? It doesn’t matter whether you live in it, you’re renting it out, it’s vacant, or not even habitable. 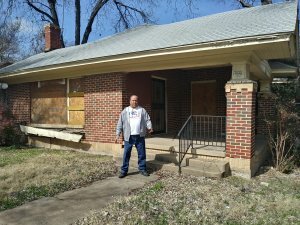 We help owners who have inherited an unwanted property, own a vacant house, are behind on payments, owe liens, downsized and can’t sell… even if the house needs repairs that you can’t pay for… Sell My House Fast in Dallas, and yes, even if the house is fire damaged or has bad rental tenants. Basically, if you have a property and need to sell it… we’d like to make you a fair cash offer and close on it when you’re ready to sell. People call us every day saying “Sell My House Fast Dallas“. We move fast! Robert, in front of a house we purchased which needs a total rehab for retail market. We also provide “Seller Financing” for first time home buyers. We help property owners just like you, in all kinds of situations. From divorce, foreclosure, death of a family member, burdensome rental property, and all kinds of other situations. We buy houses in Texas… including Dallas Forth Worth and surrounding areas and pay a fair cash price, fast. Sometimes, those who own property simply have lives that are too busy to take the time to do all of things that typically need to be done to prepare a house to sell on the market… if that describes you, just let us know about the property you’d like to be rid of and sell your house fast for cash. If you simply don’t want to put up with the hassle of owning that house any longer, and if you don’t want to put up with the hassle and time-consuming expense of selling your property the traditional way, let us know about the property you’d like to be rid of and sell your house fast for cash. Talk to someone in our office before submitting your property information by calling us today at (214) 723-1304. Sell My House Fast in Dallas! Is all you need to say. Puts More Cash in Your Pocket Now? If you are in Dallas, Texas and looking to sell your house, Robert is your guy. He has helped me tremendously, and I recommend him to others here in the DFW area. Not many individuals in this field of buying houses know the ins and outs of how to fit an exit strategy to a property. These guys are ‘life savers’. They helped me in a pinch. I first went through ‘Open Door’ and had everything lined up for my new place. The day before I was scheduled to close, Open Door canceled the contract. They needed to lower the numbers due to their lender. I looked up Robert and explained my situation to him. They came out, provided me a fair cash offer, and provided a quick closing, so I was able to proceed with my new place as planned. They even made sure that I had cash in hand to provide for my new house. They were super easy to work with and super friendly. I have already recommended them to my family and friends and would definitely use them again. You got me out of a jam, by selling you my house. Y’all did a great job on the Elsbeth St. house. We are a real estate solutions and investment firm that specializes in helping homeowners solve their burdensome house(s) problem. We can buy your house fast, with a fair all cash offer.